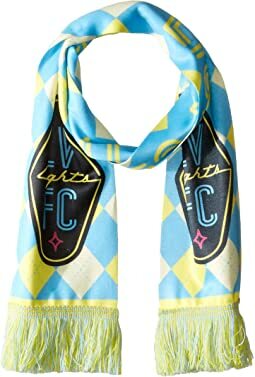 Las Vegas Lights FC is a professional soccer team, kicking off in February 2018 in the USL™. 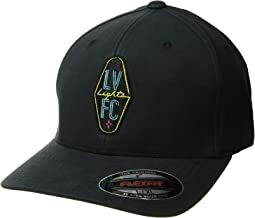 Playing right in the heart of Downtown Las Vegas at Cashman Field, Lights FC is a team built for the people, by the people, and of the people of Las Vegas. 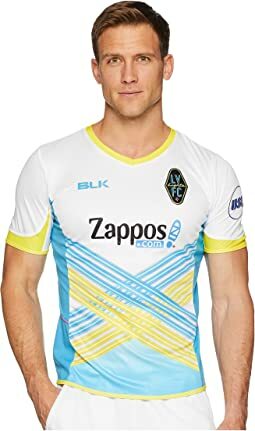 They have collaborated with Zappos.com to create the most unique jersey and team gear in North America, which reflects the personality of our city and its residents. 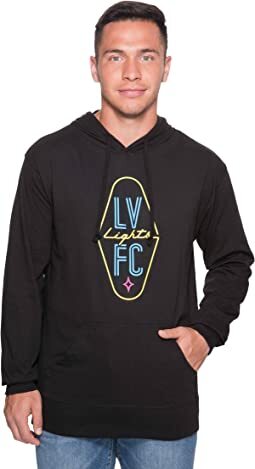 Sign up for new styles from Las Vegas Lights F.C. Material is very soft and I like the design -- but as another review said, this runs very small. (I probably should have realized this based on the model photo!) I'd recommend ordering at least one size up, but realize it is still going to fit close to the body just because of the way this is cut. I wear a size 14, 38DD and usually a size XL is sufficient, but not in this t-shirt. Cute shirt, vibrant colors, will try the 2XL. 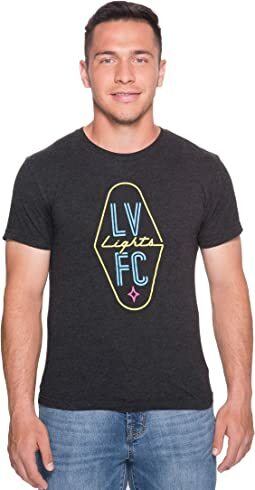 I wish they made more t-shirts like this but with v-neck. I love the bright colors. Great quality T, vibrant color and great fit. Opted for a large realizing that all cotton will shrink a tad. 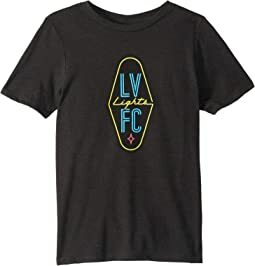 And if you're one who doesn't like tight fitting T's, but a normal fit with breathing room, believe you'll be happy with Las Vegas Light Tees as the fit is perfect after the initial wash. Definitely will be buying more. 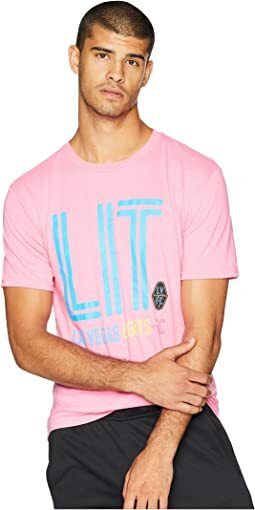 Really high quality, good fit. It's a bit thicker than average hoodies, yet it is also very soft. The zipper is European style (the pull is on the Left instead of the Right), so that takes a bit getting used to. 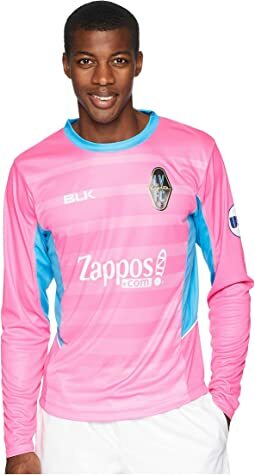 Cool Jersey... love the pink! Very comfortable, I love the design. The only down fall is that it runs small. I recommend going a size up then you go for. I wear a medium and it fits like a small. Fits great if you (like me) have an athletic physique. 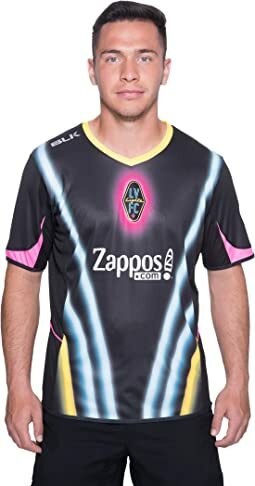 The neckline is a bit looser than I personally prefer, but it's really lightweight and solid quality (not quite as good as the Adidas MLS jerseys, however). 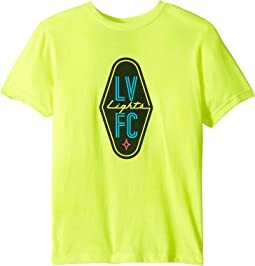 This is a great shirt to wear to the Lights games and show your support for our home team! Washes well and fits great! I'm a XXL and it fits true to size. 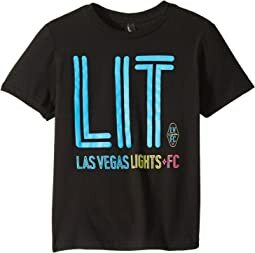 Sitting at the Lights game a couple weeks ago - saw several people wearing this shirt. 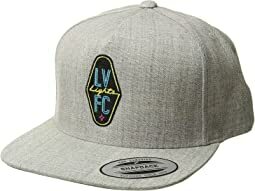 Checked on Zappos.com and there it was! Love it! It's not too short and holds its shape. 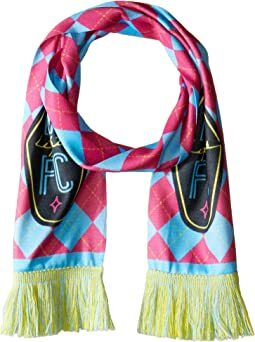 Will proudly wear to the games!